Composite fillings or tooth colored fillings are tooth colored composite resins used for cavities and repairing decayed, fractured or damaged teeth. Composite fillings are made of ceramic and plastic compounds. Composite fillings are used as a cosmetic alternative to silver amalgam fillings. 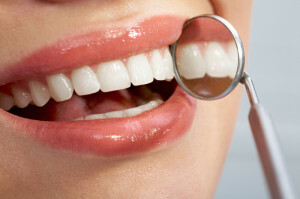 Tooth colored fillings can be used on either front or back teeth. They are typically used on small to mid-sized fillings. They will withstand moderate pressures from chewing. White or tooth colored composite fillings are a good for visible fillings and are a choice for people who prefer that their dental work look more natural.